A showcase of some of the amazing things going on in Second Life - from snapshots, to gifs, to edits and landscapes. If you're interested in being featured, submit your pics to the Official Flickr Group. Looking for places to visit inworld for pics and adventures? Check out the Destination Guide for places to explore. As we mentioned in our last blog post, the Customer Support team continues to drive a series of changes to the way in which Linden Lab delivers support to our Resident community. We are examining our support offering from top to bottom, using the data from our new support system, your survey data, blog feedback, and industry standard practices to help shape our approach. Some of our changes will be apparent to you, like the look and feel of the new case and live chat systems and our coming self-service tools. Others will be structural and won't be immediately apparent, like our internal support tools, but their benefits will reveal themselves over time as they enable us to address your issues more quickly. Leverage industry best practices, and our own hard-earned lessons, to create a comprehensive customer service offering. Respond to high-urgency, business-critical requests more quickly. Better address product and service issues before they become a support interaction. Provide all Residents with better self-service tools to help solve issues immediately. As part of these changes, we are examining the types of support we offer Residents of all levels, in an effort to provide better, more responsive service to the most business-critical issues. Starting on Wednesday, October 13th, we will simplify and reduce the types of cases that Basic Residents can file and direct them to our self-service tools on your account page, or search the Knowledge Base or Second Life Answers for solutions. As a Basic Resident, you can still file cases about most account issues, billing issues, marketplace issues, and some technical issues. As we increasingly direct Basic Residents to self-service tools, we are exploring ways that we can better service and support our Premium and Concierge Residents. These Residents –who are often landowners, merchants, and inworld business owners– will continue to be able to file the full range of cases, have access support via live chat, and in the case of Concierge Residents, have access to phone support. As we begin to see the impact of the changes we have underway, we expect our response times across all of these channels to improve. This announcement is one of many to come soon as we work hard to provide faster, more effective customer service. We look forward to hearing your feedback as these changes roll out. When you visit a place such as Octoberville you think of haunted houses, mazes, hunts, Crowbar, and making friends, but there is so much more to Octoberville than meets the eye. Beginning with a brainstorming session that usually takes place in June; we devise the continuing story of Octoberville. Sometimes, it can be quite a challenge to maintain the original sleepy, autumn feel, while adding the elements of fear and delightful frustration that Octoberville is known for. As the project manager, it is my job to make sure that everyone is on the same page and we are on schedule to have the build completed and tested by October 1st. This can be quite a challenge as we all have real life jobs and responsibilities to balance as well. It is also difficult to motivate people to work on autumn projects when its 90 degrees outside and thoughts of swimming pools and backyard barbeques seem more relevant. By September 1st, the main maze and general layout of Octoberville is completed, but the haunted house and the actual game still needs to be developed. With only a month left to create the meat of the game, life becomes more hectic. Everyone in the family, including our daughters, is consumed with finishing the project. After school, before and after work, during dinner, we are sharing ideas, arguing points, and putting the pieces together that will soon become many fans’ favorite Second Life event. By the middle of September, nerves are on edge and we, too, are counting down the days until October 1st. While Nathan is finishing up the code to the hunt, Master Kaos is coming up with puzzling rooms for the haunted house and putting finishing details around the rest of Octoberville to make everything look realistic. My daughters are taking the scripted hunt items and hiding them, while I am making sure that everything flows correctly and ensuring there are no holes in the game. The final week before opening is probably the most stressful time of the year. We are hiding the last of the items and testing the game in its entirety. Finally, on October 1st, our efforts pay off as we watch Octoberville become filled to capacity with fans within 1 minute after opening. 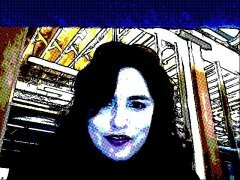 About the Author: Cherub Spectre (along with Master Kaos and Nathan Oddfellow) is the creator and designer of Octoberville, which is celebrating its seventh year on the grid. 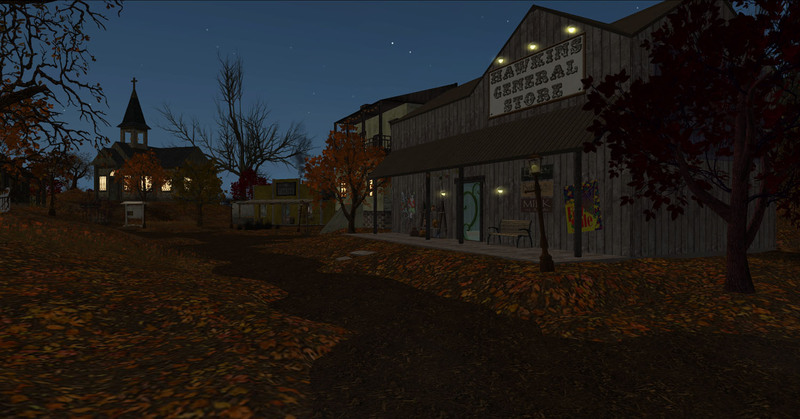 Visit Octoberville in Second Life! The Haunted Halloween season is just around the corner — how will you celebrate? It’s that time of year again — time to get out your witch’s hats, dust off those broomsticks and don your spookiest, scariest costumes for a frightful Haunted celebration. 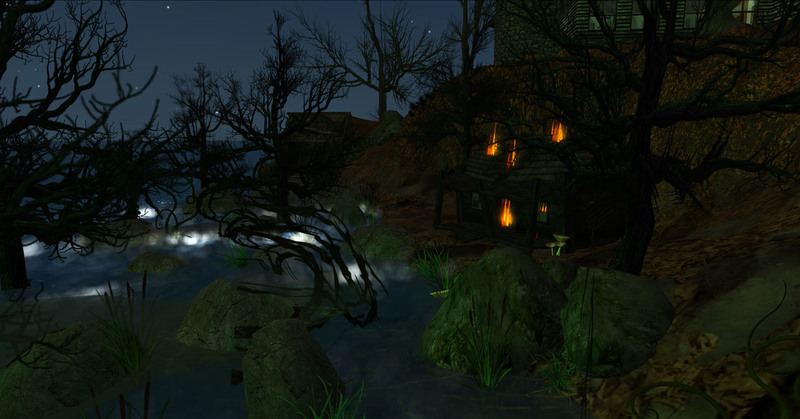 This spooky season is a favorite in Second Life. What are your favorite places to celebrate all things ghoulish? Are you a builder, designer, costume expert or fright fanatic? Share your insights! Get into the spirit of the season and help guide Residents to your top spooky spots. Got a favorite fall hayride location, or an awe-inspiring apple-picking area? Post a link to the scariest sim or the most happening Halloween event locale. Share your frightening favorites — and all the autumn awesomeness! — in the comments section. An Image is Worth a thousand words – and sometimes it can be worth L$5000, too! Out with the old and in with the new – show off your dramatic Second Life makeovers with a before-and-after picture that highlights a new look you will be rocking this year in Second Life. There will be one grand prize winner (L$5000) and three runners-up (L$1000 each). Think of all the shopping you can do with that kind of allowance! For all the details on prizes and how to enter, please read the "New Year, New You!" Picture Contest Wiki page. We’re excited to bring this new contest feature to the Second Life community, and we hope you enjoy it! How to participate: Take a before and after image of your virtual makeover and upload it on the contest page. It’s as easy as taking your before snapshot and placing it on a prim, then stand in front of it with your new look and taking another snapshot, or stitching together two images – one of you before your Second Life makeover, and one after. Save the image to your computer so you can upload your submission for the contest. How to vote: Entries will be posted from Jan. 11 through Jan. 18, 2012. You can vote at any time for your favorite, but you only get one vote. To vote for your favorite, simply hit the Kudo button on the page of your choice. For some tips on how to take good pictures in Second Life, take a look at the Knowledge Base article. Good Luck! May the best “New You” win! Calling all romantics! Mark your calendars for the annual Kiss-a-Linden/Kiss-a-Volunteer event, taking place from 7:00 a.m. PST to 7:00 p.m. PST on Monday, February 14. That’s right—an entire day to hug, kiss, and cuddle your fellow Residents and Lindens! We big-red-heart our community volunteers and hope you do too! We invite volunteers to sign up here (or just show up spontaneously) to take a turn in our volunteer kissing booths, too. Show them your love for all they do all year long to make Second Life special. Lindens will be puckered up and ready for smooching throughout the day, so check back to see who’s available for a hug and kiss. Cupid Linden will also be making her annual appearance—so be sure to stop by, and perhaps you’ll catch her flying around, taking pictures, bestowing a seasonal kiss, or giving away some special Valentine’s Day gifts. Speaking of gifts, four free, special-edition Valentine's Day Bears await you on the Marketplace! The bears are yours to keep or give as a gift—enjoy! Or, maybe you have something else in mind for your Valentine’s Day shopping. Need a new smooching AO? Got some cuddle poseballs for sale? The Valentine’s Day category is the place for you. Merchants with Valentine’s Day-themed content are welcome to post their wares for easy gift-giving and romantic retail therapy. If you’re wondering what other romantic rendezvous are out there in Second Life for the Valentine’s Day season, then take a look on the Destination Guide. There’s a list of some idyllic hunts, holiday events, dreamy hot spots, and other passionate pursuits. How has your SL look changed over the years? Share your favorite SL evolution photos in the Group Pool on Flickr and add your comments to the discussion. Check out ﻿Eshi Otawara's looks throughout the years here. Check out the SL Flikcr Pic of the Day, "With a Friend," by Charlotte Caxon." For over two years, I have written daily about SL fashion for my blog, “A Passion for Virtual Fashion,” and I co-lead Relay for Life’s Fashion for Life, which is one of the biggest fashion charity events on the grid. Linden Lab graciously invited me to share my expertise. The other day, I saw a TV ad for a fashion show about five easy pieces for one’s real life wardrobe. This got me thinking about five essential pieces in SL. The shape of an avatar is the frame of your avatar. It is our “body” and the core of our virtual selves. Buy a modifiable one from a good shape maker and tweak it to your personal tastes rather than starting from scratch. Making a pleasingly proportionate avatar is harder than it looks. The skin is the decoration on your basic shape. You can’t have an avatar without a skin. The skin you purchase should be a statement about you and should please your eye. Consider a neutral skin so you can change it using the five additional makeup layers that SL allows. Hair is a huge differentiator between avatars. Whether you want a cute ponytail, luscious locks, a sassy pixie cut, a mohawk or a mullet. Combining regular prims, flexies, and sculpties (and soon mesh) with gorgeous textures and scripted features, hair is one of the engineering wonders of SL. Our avatar’s eyes move to follow our sight line as well as blink, giving avatars a human quality. When the eyes are flat or bland, the entire avatar looks “fake.” Eyes are an inexpensive investment change you from cartoonish to alive. Want to know more about the great content I have featured? Check out this entry on my blog for references and SLURLS. What are your five easy pieces? Leave a comment here! Making your own Halloween _______. 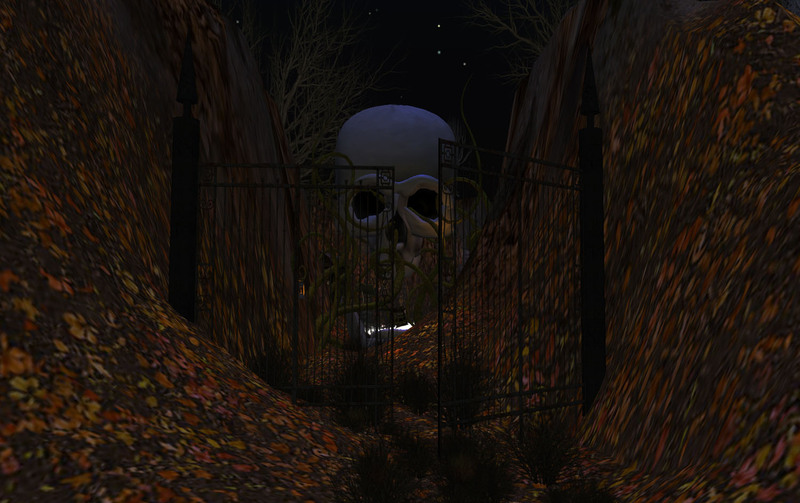 So you've had lots of fun exploring the various haunted houses, maddening mazes, and other spooky spots celebrating Halloween in Second Life this year and you say to yourself, “But I can make a better Halloween _______ than that!” Maybe you can, but it takes a bit of planning to bodge something together. Good thing you have a year for putting it all together. First you need to sort out what kind of venue it will be. A so-called “dark ride” like you find in amusement parks? How about a walk-through haunted house or even a haunted forest? The assets you have will be your biggest consideration in this decision with land being chief among them. Fortunately, Janeforyou Barbara let me use a large chunk of her land and a few thousand prims to make my fourth annual Halloween treat, the Menagerie Isle Haunted House My dream is to one day use a whole region as the folks at Innsmouth do, but even if you have only a 117-prim, 512-square meter parcel, you can put together something great if you have great ideas. It all comes together with the decorating. That's the where the theme comes in. Popping about Second Life this year, I saw a greater variety than ever before, but paying tribute to horror films was quite popular, especially zombie flicks. Even folks who usually don't go see the likes of Freddy, Jason, and their kin in theaters will, thanks to mass marketing, be familiar with the characters — so your intent is clear, but these themes might be so mainstream that their familiarity could decrease their impact. Think carefully about clever ways to incorporate pop-horror into your creations while seriously considering more traditional items like ghosts and skeletons. This means you also need to think about the build itself. Get together with your team, or if you don't have one, frequently invite friends to give you a third-party perspective. This is my second year with a two-stage installation at Menagerie Isle: a pre-show walkabout in a decrepit mansion made by BailyMarie Princess and available in her shop at Abbey Island, every room decorated with spiders or ghosts or... well, I won't spoil the surprises. Then there is a dark ride through several themed tableaus that eventually ends in an eerie graveyard where anyone who survived can pick up a gift before running off. I used many commercially sourced items — ghosts, spiders, furniture, etc. — along with custom textures and items I made myself. Because I worked alone, I had several people look in to catch my mistakes, such as when the ride stopped at a certain spot if two or more folks were in the car at the same time. Assets, theme, and build are the basic components. Post your ideas in the comments for what you like to see in a Halloween attraction, whether you are a builder or not. I’d also like to see your suggestions, with SLurls if you can, for what you thought were great attractions or places to shop. Don't be scared to post something! The Linden Moles and the Bay City Alliance have a Hay Maze full of whimsical fun and prizes. The Bewitched Haunted Dark Forest is a whole region of spookiness. Shops can be attractions, too! The Isle of Ewe has dressed up for the holiday and the Meeroos have gotten into the spirit of things. Day 7 of Modavia Fashion Week has just dawned at the time I’m writing this. Two days to go...and I finally have a small window of time to reflect on things. It strikes me that this event brings pretty much everything that I love (and a little that I loathe) about Second Life into clear focus. In all, we will have presented over 600 brand new designs, which does not include all the specially-made accessories, shoes, hairstyles and skins exclusively prepared for the event by the end of this week. Sixty five designers, 50 models, 8 dj’s, 12 photographers, 20 sponsors and a small but dedicated production crew bring about 50 hours of fashion magic to the Fashion Week runway each year. The real cost in time to prepare an event like this includes conceptualising and making the outfits, styling each look and preparing runway poses, building the runways, shooting, processing and posting over 2,000 photographs, and the millions of small things that are involved in organising and marketing an event of this kind. I would estimate it takes thousands and thousands of hours. Now forgive me for being very obviously biased in a major way, but this is incredible. It demonstrates an extraordinary level of cooperation and joint work from avatars whose real life personas span almost every major country in the world. People with jobs, families and places to be. And let’s be frank — apart from a small elite group, nobody is really making a killing financially in SL. So, why do people do it? I’m not just talking about a bunch of people jollying along for a week. This is intense, intricate and often very stressful interaction that requires a high level of organisation, focus and dedication. And a highly evolved ability to get along with other people to overcome the not insignificant challenge of different time zones and language barriers and, of course, navigate the multiple technical difficulties inherent in the Second Life platform. The fashion industry in SL is a crucible of creativity and energy generated by people of very disparate backgrounds who co-operate at an extraordinary level and I purport that experience gained while working in a Second Life virtual company, particularly in this industry, can be enormously valuable in real life. I would recommend it to anyone who wants to hone their interpersonal skills and enhance their ability to work or manage and, most importantly, motivate people in a uniquely challenging environment. It isn’t easy — and that’s the whole point. 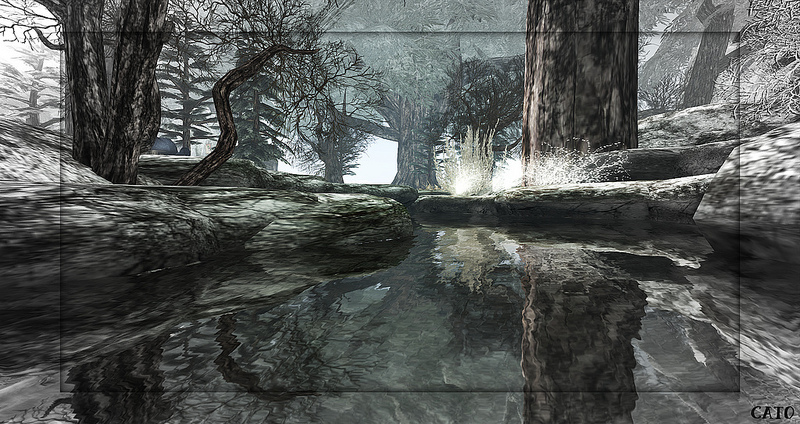 Check out the Second Life Pic of the Day, "Snapshot", photo by Argus Collingwood. Don't forget to check out Second Life on Tumblr, Facebook and Google Plus! Check out the Second Life Pic of the Day, "Vic Rossini" by Vic Rossini. Don't forget to check out Second Life on Tumblr, Facebook and Google Plus! A film called Life 2.0 will air Thursday evening on OWN (Oprah’s TV network). The documentary premiered at the Sundance Film Festival in 2010 and follows several Second Life users, illustrating some of the ways Second Life affected their offline lives (and vice versa). You can watch the trailer for the film here, and check out some past reviews from Second Life Resident (and Betterverse blogger) Rik Riel, as well as from The New York Times, the Huffington Post, and the Village Voice. If you aren’t yet a member of Second Life, then join now! It’s fast... and free. (If you want to learn even more about the basics of SL, we recommend Strawberry Singh’s Newbie Resource Guide). Already a member? Great! Fire up your Second Life Viewer to start zombie huntin'! 2. Choose a Zombie location. Inside Second Life, you’ll notice that the Web link has opened a right side panel with a prompt to Teleport into the location: Click that button – and prepare for the zombie attack! Once you arrive, you will see a sign on the wall to your left. You’ll need to first join the zombie hunting group for this location. Click the sign and accept the group invitation. After you join the group, you can then grab your free gun to the left by clicking on the sign on the wall. You should now see the gun offered to you in the lower right side of your screen. Select “Keep” to accept the free gun. Click “Keep” in the message that appears in the lower right. Click the suitcase icon on the right of your viewer screen to open your inventory, then click the “Recent” tab and right click on the gun in the folder “Dead Zone Free Gun." Go into "mouselook” mode by hitting the letter “M” on your keyboard (outside of the chat bar) whenever you want to shoot the gun. Click your mouse to fire. Get warmed up at target practice, and then make your way to the streets of the Dead Zone to start shooting Zombies! If you’re settling in for the evening or your boss is on vacation, you’re probably itching for a Zombie marathon with a bit more staying power. Once you’ve invested a little more time, several SL zombie locations can take you deeper into strategy, costuming, weaponry and exploration. 1. Sign in to your Second Life Viewer and teleport to the Urban Zombie, where you can find a whole herd of evil zombies ready to devour you. There are tons of zombie spots to pick from — each is unique and created by a resident of Second Life. But a location like the The Urban Zombie is ideal if you are more than a casual gamer and want to really get into the action. This eerie abandoned city is the perfect location to hunt zombies — explore the haunted alleys and dark passageways, but be on the lookout for not-so-nice visitors! 2. Grab the HUD when you first arrive by clicking on the box. In your Inventory, you can now “wear” the HUD by simply adding it to your current outfit — and you’ll be suited up to go! For a complete explanation of the HUD and combat features, please see the Grim Combat System notecard that was added to your inventory when you picked up the free HUD. You’ll notice that the HUD features scores and experience points, as well as tracking of quests and missions. If you have the time, this is worth checking out! 4. Equip yourself with a gun. If you need a free gun, there is a sign to the right of the free HUD that offers you “Free Guns.” Place your mouse over the sign and wait for the pop-up, then select “Take Copy” and then “Buy.” Don’t worry, it is set to “free,” so you won’t be charged. This item is now in your inventory, so you can drag it from the inventory to the ground to rez it. Then, right-click open and copy to inventory. In your inventory, you can highlight the gun you want (look under the folder “Urban Zombie Free Guns”) and then right-click Wear to select it. When you are ready for combat, type in “draw” into the chat bar to show your weapon. At this point, you can enter “M” outside the chat bar to enter mouselook and start shooting! You can buy armor and other accessories nearby — keep an eye out for the signs. Go into mouselook to shoot your guns. Once you’re armed and ready, head over to where the action is — watch your back! These zombies move fast! For Second Life Residents who simply can’t get enough zombie action in a single session, there are even more zombie-fighting options that will immerse you deeper into the combat gameplay. One example of this is Bloodbath and Beyond. Below we walk you through this experience and point out tips that apply to similar Second Life locations. Bloodbath & Beyond looks and feels like playing an MMORPG within Second Life. In this fantasy medieval role-playing sim, you fight zombies, skeletons and elves, complete quests for prizes and rewards, drink potions to rejuvenate, and much more. Play with friends and even level up. Like most role-play games, plan to start by spending 20 minutes or so reading all the background information. In Bloodbath and Beyond, one wall makes it easy for you to contact the sim owners for help and questions. To really appreciate the intricacies of this game, you should start by reading the rules provided in the notecard that you’ll receive alongside your free HUD. 2. Join the group. Interact with other role-players, ask questions and get notified of fun things and announcements. New to Second Life Groups? Here's more on how they work. 3. Dress the part. A must for enjoying role-play. You’ll see banners at the landing point for Bloodbath & Beyond to help you get started. Note that this particular location has a medieval fantasy theme, so you’ll have the best experience if your dress the part. 4. Carry a weapon. Start with a free weapon and combat HUD. In this location, guns are not allowed so you’ll be given a free starter pack with a longbow and long sword. Your HUD has several advanced features and helps to track scores, experience points, quests and missions. For a complete explanation, please see the Grim Combat System notecard that was added to your inventory when you picked up the HUD. So log in to Grimley's Bloodbath and Beyond, kick back and have some fun! I've been lurking around, searching for some of the best spooky creations Second Life has to offer, and want to share my finds with you now. On Friday, I'll be hanging out in the Favorite Destinations Forum to chat about Halloween locations and events. So for this post, I decided to feature affordable appearance items. Many of the items pictured here are either cheap (under L$100) or free until Oct. 31! Halloween Special by Grim Bros. SKIN: Free Mini Mania exclusive prize by MIASNOW at the Halloween Bazaar. 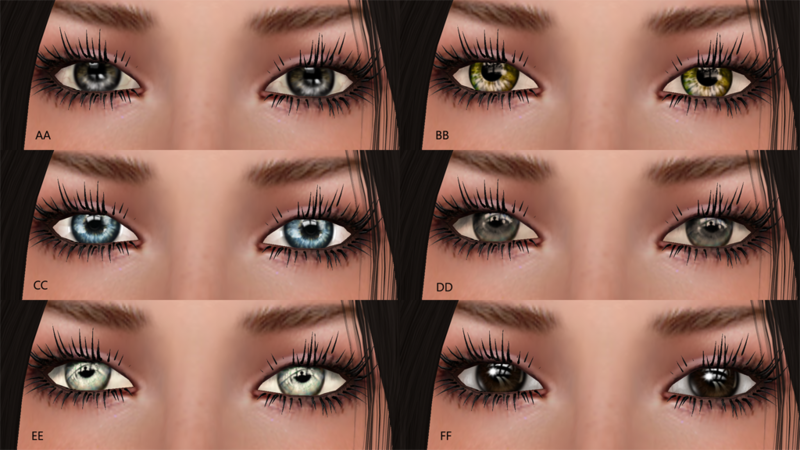 EYES: L$5 Demonic fatpack by BND inworld. OUTFIT: L$20 promo price on the Marketplace by BND. SKIN, EYES, GLOVES, and TIGHTS: MIASNOW Main Store. The striped arms, legs, and green nails are part of the L$100 Poison Apple Outfit. SKIRT and PUMPKIN SACK: Free from MIEL after joining subscriber group. BOOTS and BROOM: L$95 boots, FREE broom AO by JASstore. POSES: Del May and the JASbroom 3000 mentioned above. FINGER PUPPET: L$1 at JASstore. SKIRT: Free from the pumpkin hunt at CHANDELLE. PURSE: L$0 by +9 on the Marketplace. LEGGINGS: L$50 by [Atomic] at the Knitting Circle Bake Sale. LANDSCAPING: L$85 Spooky hand decor and L$30 bloodred rain by JASstore. using the current standard SL viewer. While on the island, go to the World menu ---> Environment Editor ---> Environment Settings ---> Use Region Settings. FRAME: Photography and Machinima HUD. All the photos are raw, unedited snapshots. Please share your suggestions for other Halloween-themed hunts, sales and promos in the comments below. Let's continue the conversation together and make the list grow. Show us your photos and share the links!Happy Halloween 2011, Second Life! MiaSnow Myriam is a creator in SL and RL. Visit her blog, website and Flickr. 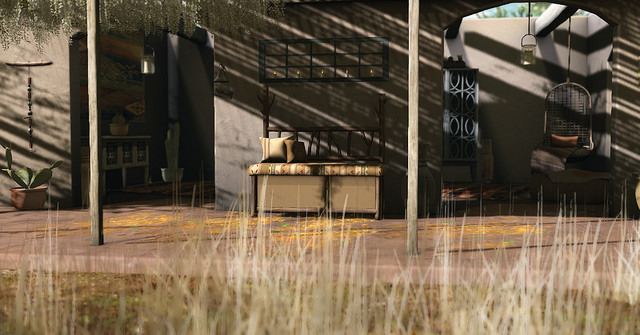 Check out the Second Life Pic of the Day, "Living Among Nature" by Kylie Jaxxon. Don't forget to check out Second Life on Tumblr, Facebook and Google Plus! Check out the Second Life Pic of the Day, "Caught in the Vast ..." by Kimbra Iridescent. Don't forget to check out Second Life on Tumblr, Facebook and Google Plus! Check out the Second Life Pic of the Day, "kh2", photo by Isabelli Anatine Don't forget to chek out Second Life on Tumblr, Facebook and Google Plus! 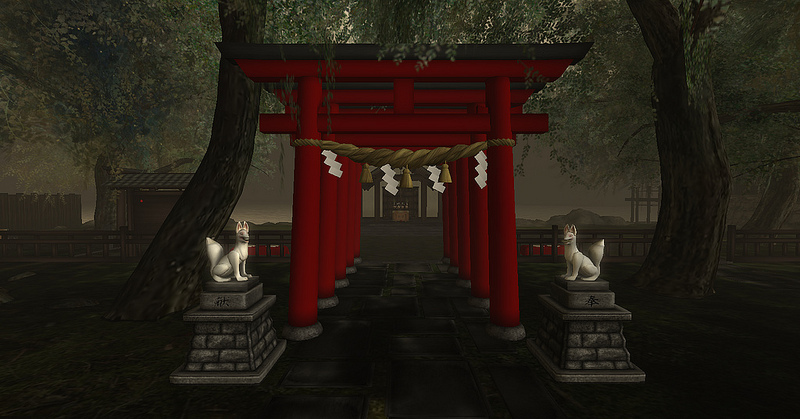 Check out the Second Life Pic of the Day, "Old Japan Roleplay" , photo by Lady Fandango. Don't forget to check out Second Life on Tumblr, Facebook and Google Plus! 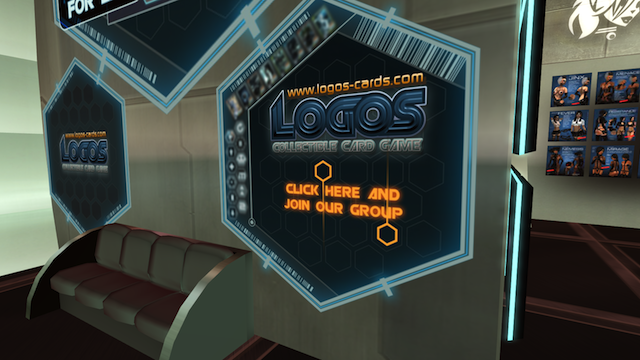 LOGOS-cards is a tradable card game within Second Life. In these kinds of games you put together decks of cards, which are then used to fight with a second player to see who created a better combination. The draw of the game is that it brings exciting, turn-based tactical fighting to wherever you go in the vast world of SL. Naturally, collecting and trading cards is a big part of the experience, and the game is varied enough to allow experimentation with countless of card decks. We have released a big update at the start of the year and plan to bring more content to the game early next year as well. 2. Do they cost money? The game itself is sold for 299L in our stores, but members have access to free demo units which they can hand out to anyone they want, so if you just want to try, you only need to ask in our group. Cards can either be bought in our store, or earned by playing games and leveling up for free. 3. What is collectible about them? Are there rare cards that are difficult to get? Some cards are rarer then others – the card distribution is completely random. I'd like to point out one thing that I personally found fascinating about doing this: I'm one of those people who never trusts random systems. You watch what happens and always come up with your own theories about elaborate mechanisms of why this isn't random at all, and really works completely different to screw you over. Only when people started to assume the exact same thing in our system I realized how easy it is to reach such conclusions, and ever since then I cast aside all conspiracy theories whatever I play myself. Random means some people get lucky, while others don't, that is all there is to it. If gambles aren't your thing, some of our players run card shops, where you can directly purchase whatever card you want to have for your deck. 3. What is the rarest card of them all? The rarest cards are on one hand the most powerful ones, but on the other hand they are so difficult to play that it is never a necessity to own them in order to be competitive. There's a few cards that are especially rare of course, two cards each for only me and Darien to hand out personally – however, we like and also the special promo card that we only gave to the first 100 people who purchased our game. A very popular rare card is the one we gave exclusively to our beta-testers. We try to limit these opportunities however, so collecting doesn't become too much of a bother. 4. How can someone get started if they want to play? Go to our website. There you will find links to our stores in world, if you'd like to know more. The game is available on the marketplace and if you join our LOGOS-cards group you can ask for a free demo unit, which is a fully working copy of the game without the ability of making your own decks and ideal to learn the game. I hope that covers all the basics, I'm sure I'll reference my development experiences with the game in future threads as well. For now I'll leave this here for whomever is interested. Oni Horan is a game designer from Austria, living in Europe, whose main project in Second Life is LOGOS-cards (www.logos-cards.com), developed together with Darien Caldwell and released last year. Oni has also worked on some as-yet unreleased games, and run a free puzzle-oriented quest-system on my roleplaying sim, which was also developed with Darien. Are you a passionate Second Life resident who loves to write about your Second Life experience and are looking for exposure for your own existing blog? Looking for a way to connect with other bloggers and open your door to new Second Life community readers? If so, you might want to submit an original blog post (no links please) to us and it could end up being featured in the Second Life Community blogs. As the movers, shakers, and experts on everything Second Life, we’d like to invite you to submit your original blog articles to us at blog-call@lindenlab.com with the Subject Line: Guest Blog Submission. Selected submissions will be posted to the Blog section of the Community as a featured guest post! Here are some popular Second Life topics to consider: Fashion, Home Decor, Mesh, Relationships, Spirituality, Education and Music. If you would like to submit a guest post for the Second Life Blog, please consider these guidelines. Only submissions that meet these criteria will be considered for publishing. All selected posts must adhere to our Community Participation Guidelines. All selected posts should support the inclusiveness of the Second Life community. Selected posts must not include marketing-related links and must not be entirely self-promotional. The post may include links to your website and blog in a brief author’s bio (approximately 3 sentences), which will be published at the end of the guest post. Please limit the number of images included in your submission to 4 or less. We reserve the right to review and edit. We regularly edit posts by our contributors and guest bloggers. Guest posts must be original and may not have been published elsewhere online already. 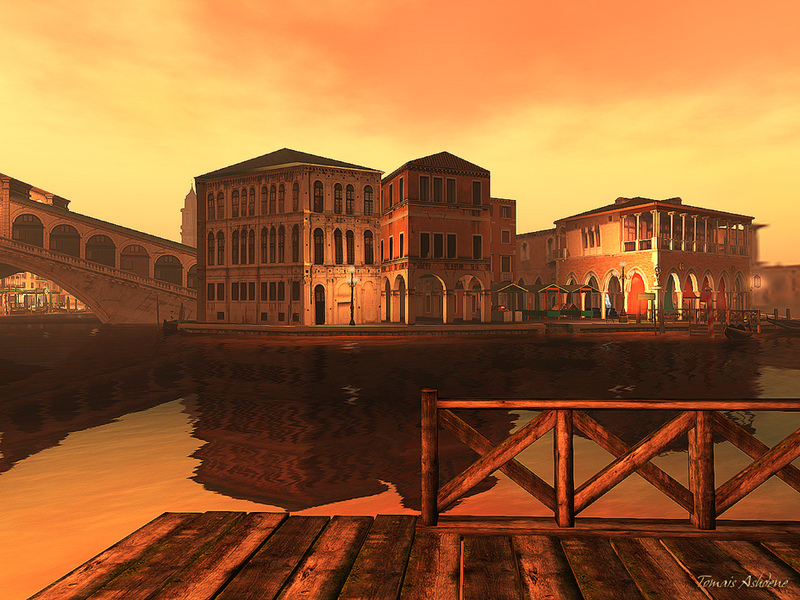 Check out the SL Flickr Pic of the Day, "Venice," By Tomais Ashdene. Go inworld here. Check out the SL Flikcr Pic of the Day, "Libby March," by Libby Farleigh.